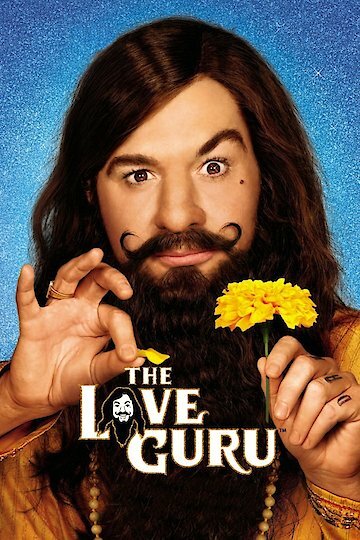 The Love Guru, released in 2008 is yet another amazing performance by the amazing character actor, Mike Meyers. Lauded for his ability to create hilarious and sympathetic characters, he brings the title role to life in his depiction of Pitka, the Love Guru. Facing a mid-life crisis, hockey player Darren Roanoke, played by actor Romany Malco, is challenged on the ice after his wife takes up with competitor, Jacques Grande- played brilliantly by Justin Timberlake. Adding to Roanoke's dismay is Grande's reputation as being a ladies man, well-endowed in areas that make Roanoke insecure about his own masculinity and in the future of his marriage. As a last ditch effort to revive his career and win the coveted hockey championship trophy, the team owner, played by the beautiful and talented Jessica Alba, hires Pitka to intervene. She is new to her role as team owner and has got something to prove to the team as well as the fans. Through a series of exercises and embarrassing misadventures, Roanoke becomes the reluctant student working with Pitka to salvage his career and save his marriage. Vern Troyer appears as the crusty Coach Cherkov, who has little use for Pitka. What ensues is nothing short of hilarious. Pitka's punchy wisdom and overt sexuality set the tone for shenanigans and naughtiness that result in the reunion of Roanoke and his wife, victory on the ice, and love for all in the end. While the entire cast works well together, it is the performance of Timberlake as the conceited and macho Grande that steals the show. From his accent to his hip gyrations, Timberlake shines as the smarmy Grande, who we love to loathe. Fans will love the reunion of Meyers and Troyer, legendary for the Austin Powers' trilogy. Funny and fresh, The Love Guru satisfies those craving a dose of the comic genius made famous by Mike Meyers. The Love Guru is currently available to watch and stream, buy on demand at Amazon, Vudu, Google Play, iTunes, YouTube VOD online.